Offering you a complete choice of products which include anti uv tent fabric, coated woven tent fabric, colored canvas tent fabric, canvas tent fabric, canvas tarpaulins and cotton canvas tarpaulin. We are offering Anti UV Tent Fabric. As per customer requirement, we can also provide with fabrics that can withstand Ultra Violet Rays. We UV stabilize our products at each and every step of production- from woven fabrics to lamination coating on the fabric thus avoiding tearing of material due to UV rays. 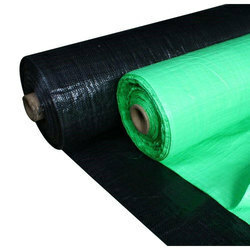 We are offering Coated Woven Tent Fabric. We have two coating machines, one with maximum coating width of up to 122 inches/310 cm. and another one with maximum coating width of up to 75 inches/190 cm. We offer both one side as well as both side coated fabrics. The minimum width of laminated/coated fabrics can be as per your requirement with blade cut edges and the maximum we can offer is up to 120 inches/305 cm. Width bigger than 120 inches (305 cm) can be made by heat sealing the panels of laminated fabrics. Our range of laminated fabrics starts from 70 GSM (2.05 oz/square yard) to 400 GSM (11.7 oz/square yard). We specialize in manufacturing five and seven layer sandwich fabrics i.e. 2 layers of fabric and 3 layer of lamination 3 layers of fabric and 4 layer of lamination respectively; the structure of the layers of the sizes fabric is like this (Lamination + Fabric + Lamination + Fabric + Lamination) and (Lamination + Fabric + Lamination + Fabric + Lamination + Fabric + Lamination) respectively. We can offer fabrics wherein additives like Color Master Batch, U.V. Stabilizer, and Vapour Corrosion Inhibitor etc. are required to be incorporated in the lamination as per your requirement. Roll length of your choice can be offered. 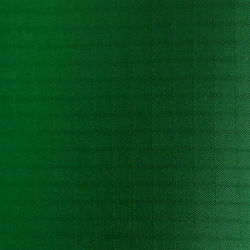 We are offering Colored Canvas Tent Fabric. Canvas tarpaulins are heavier, thicker and have better strength properties compared to PE Tarpaulins. They are available in brownish golden color, green, orange or natural white color. Sizes are fabricated by stitching panels of waterproof, rot proof canvas fabrics with stitched hems and eyelets/grommets provided on the hemmed borders. Packing can be offered as required. We are offering Canvas Tent Fabric. Canvas tarpaulins are heavier, thicker and have better strength properties compared to PE Tarpaulins. 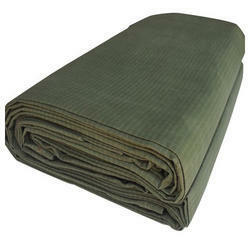 Canvas tarpaulins are available in brownish golden color, green, orange or natural white color. 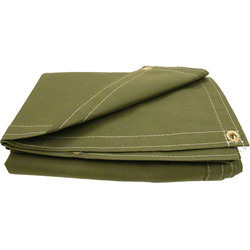 Sizes are fabricated by stitching panels of waterproof, rot proof canvas fabrics with stitched hems and eyelets/grommets provided on the hemmed borders. Packing can be offered as required. We are offering Cotton Canvas Tarpaulin. Cotton Canvas Tarpaulin are heavier, thicker and have better strength properties compared to PE Tarpaulins. Canvas tarpaulins are available in brownish golden color, green, orange or natural white color. Sizes are fabricated by stitching panels of waterproof, rot proof canvas fabrics with stitched hems and eyelets/grommets provided on the hemmed borders. We are offering Tent Canvas Fabrics. Canvas Fabric are heavier, thicker and have better strength properties compared to PE Fabric. 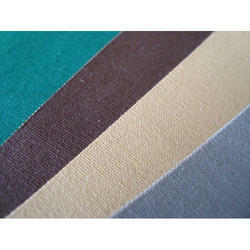 Canvas Fabrics are available in brownish golden color, green, orange or natural white color. Packing can be offered as required.